My Freebies from last week! I enjoy getting my freebies every weekend from my house, either when I go home or someone comes to visit me. 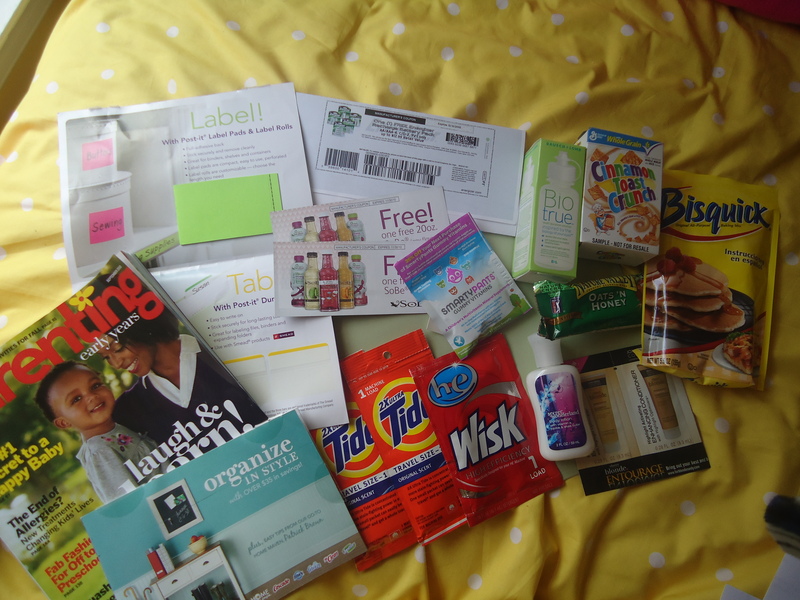 This week I got detergent samples, Bath and Body Works lotion, Parenting magazine, samples of shampoo and conditioner, a small box of cereal, contact solution, granola bar, gummie vitamins, post it notes and tabs, Bisquick, 2 coupons for free Sobe’s, and a coupon for a free pack of rechargeable batteries. Yay! https://i2.wp.com/savvywifehappylife.com/wp-content/uploads/2010/10/freebies-from-sept-27.jpg?fit=4320%2C3240&ssl=1 3240 4320 Brandi https://savvywifehappylife.com/wp-content/uploads/2016/09/SavvyWifeHappyLife-logo-2.png Brandi2010-10-06 00:30:182010-10-06 00:30:18My Freebies from last week! Try RetailMeNot.com! Sign up for Groupon!